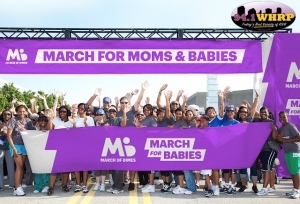 Huntsville March For Babies – Saturday, May 4th! Join the 94.1 WHRP team as we proudly invite you to the 2019 Huntsville March For Babies – Saturday, May 4th at HudsonAlpha (601 Genome Way NW, Huntsville, 35806)! Registrations and check-ins will begin at 8am, and the 1-mile Walk will start at 9am. We walk to fight for the health of all moms and babies. Thanks to all our walkers, donors and volunteers who have accepted the challenge to help fight premature birth, birth defects and infant loss. We cannot achieve our mission without each one of you! March for Babies will highlight the strength of families affected by premature birth, birth defects and the loss of a child, celebrate the strides we’ve made towards accomplishing our mission and applaud the fundraising efforts of our donors. On Saturday, May 4, 2019, nearly 1,000 individuals will come together at HudsonAlpha to support the March of Dimes. Our goal is to raise a total of $300,000 for a healthier future for babies. Festival Area & Donation Turn-in opens 8:00 a.m. – Opening Ceremonies start at 8:30 a.m. – March & Run for Babies begins at 9:00 a.m. – Followed by our Superhero Sprint for kids (ages 1-10). The Superhero Sprint is a kids “fun run” that is implemented at March for Babies walk sites, and puts the March of Dimes “mission in motion.” Festival activities and award announcements continue until close at 11:30 a.m. We can’t wait to see you there! CLICK HERE for more info, and we’ll see you and your team on Saturday, May 4th!